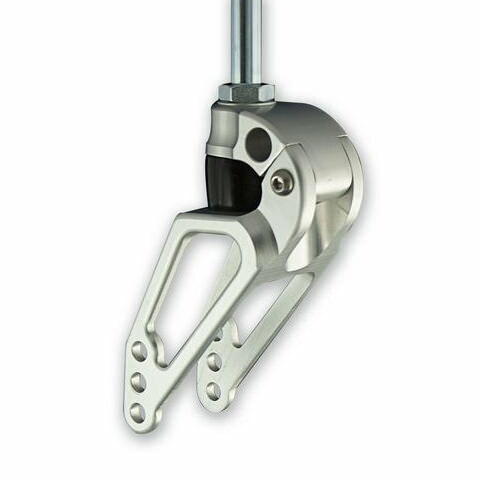 Frog Legs ultra sport shock absorbing caster forks eliminate 76% of all shock and provide the front casters the ability to lift back, up and over obstacles to minimize pitching. Ultra sport shock absorbing caster fork’s hollowed-out design is more stronger than an ordinary, solid stembolt inserted into your chair. 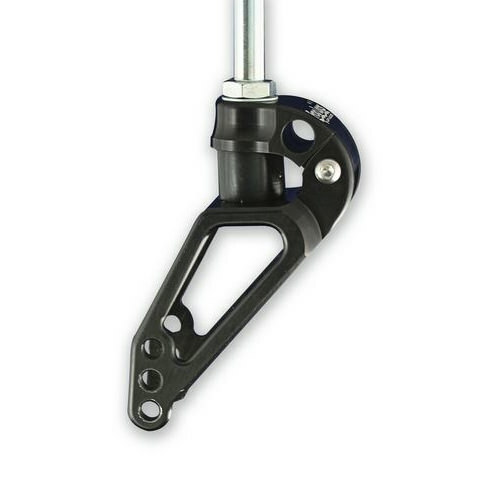 Ultra sport caster forks are light weight, super strong, and have a very durable design and they are sold as a pair. 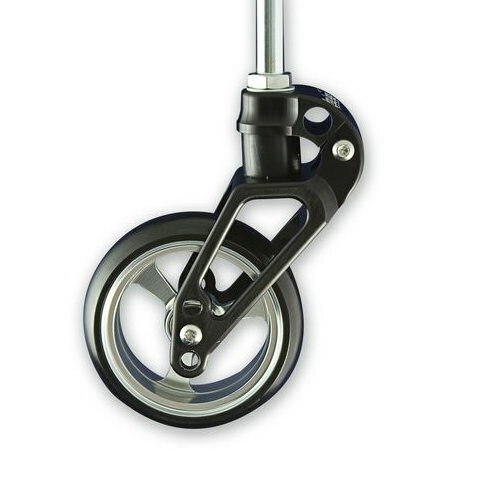 CBTF stands for 'Caster Barrel to Floor' height: This Measurement ensures we are able to keep the chair and the rider at the prescribed tilt/level. The engineers at Frog Legs compare the size of the wheel that you will be using to the CBTF that is currently comfortable for you. These two pieces of information help to determine the appropriate stem attachment to keep the foot to floor geometry exactly the same. 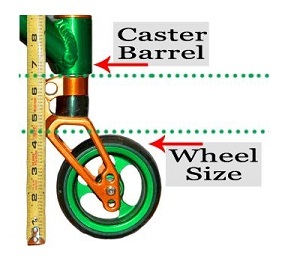 To determine the CBTF height, measure from the bottom of the front wheel's caster barrel housing to the floor, as shown below. 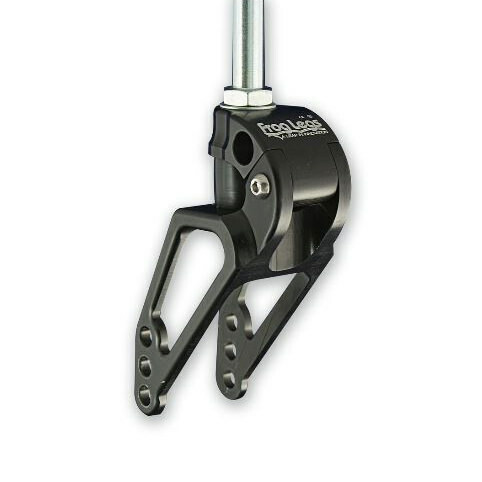 NOTE: Maximum wheel diameter is 3" less than the Caster Barrel to Floor height. Rider weight 120 - 280 lbs. 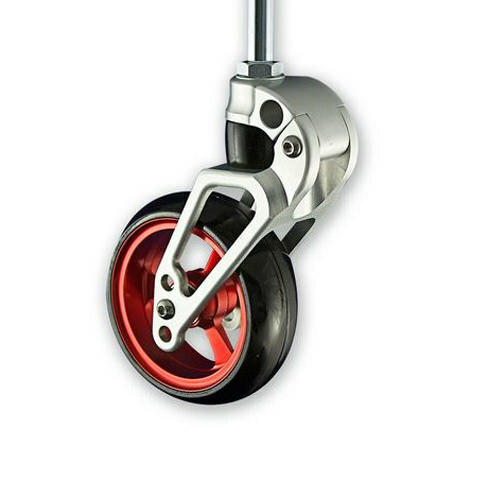 Wheel diameter 3" - 6"
Distance from Caster Barrel to Floor (CBTF) 4.5" - 12"